Our mission is to engage, empower, and transform our community through volunteer service. Thank you to All of our community partners and volunteers that participated in our tricentennial volunteer challenge! After a long trying year we were able to not only meet our service hour goal for the year, but exceed it! Thank you to everyone that gave a hand to make a difference this year in our local community. Stay tuned for our next challenge. For more information on how to volunteer click here! As a non-profit, we create customized service projects and connect volunteers with unique service opportunities. Our work wouldn't be possible without our amazing sponsors! Thank you for helping us achieve our mission. Make an impact today! 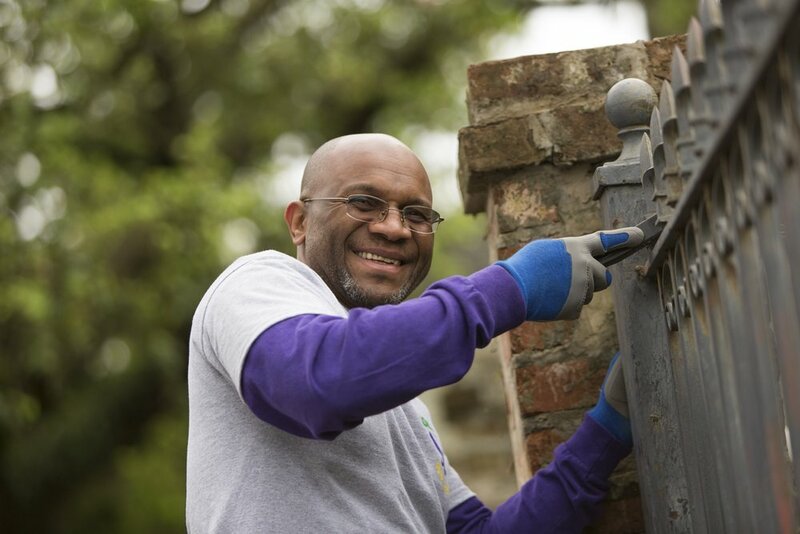 See how your dollar is used to make New Orleans and surrounding areas more vibrant. We create and manage projects for groups 5-5,000! We provide all necessary supplies, volunteer accident insurance, water, and tools. We never ask our partners to pay for their own supplies. Click here for more info. Our online volunteer portal connects volunteers with service opportunities tailored to their unique interest! Click here to see what you can get involved with. If you are volunteering with any organization in New Orleans, you can stay in our low-cost volunteer house! Click here for more info. RT @Tulane: @KirbyJNagle @UnitedWaySELA @HandsOnNOLA Thank you for having us!